Do you know what it really takes to climb Kilimanjaro? It’s one of the Seven Summits, and one of the easiest actually. So you can imagine, year after year thousands of people go on the adventure to bag it. Yet, many of them don’t make it! Because they forget about the 7 questions everybody should ask themselves before heading to Africa’s rooftop. What do you think is the most essential question. Actually, the one you are just about to make yourself. – How difficult is it to climb Kilimanjaro? Can I make it to the top? You will be disappointed if you are expecting a simple yes-or-no at this point. Why? Because there are lots of small factors that play a huge role, and these typically depend on the individual. Then what am I offering to you now? A series of self-check questions and a path for preparation, based on the summary of experiences our climbers shared with us. Some of them were successful in their attempt to summit, while others were not. This short article gives you the essence of their tips, stories, and warnings. Are you surprised we ask beginner climbers for tips? Think about it: the impressions, difficulties, and problems of an inexperienced mountaineer are much closer to a climber who is preparing to climb Kilimanjaro — like yourself — than those of an expert mountain dude. Before we dive deep into the issues of acclimatization, mental and physical preparation, and practical know-how about Africa’s rooftop, let me start by sharing a little secret. Make no mistake, to climb Kilimanjaro is always a challenge. But if you take some pieces of advice, you are getting closer to success, I promise you. – Do I need to train for Kilimanjaro? If yes, with what and how much? Good news first! You don’t need to have a strict, several-month-long training plan. You simply don’t have to be super-fit. However, you do need to be able to walk, because that is what Kilimanjaro is all about. To walk a lot and to walk slow. How slow? VERY slow. You can’t even imagine. Most of the people who fail to summit are making the mistake with pace. They walk too fast. So, how you can train is to walk, trek and hike a lot. 6-8 hours per occasion are great. Then, do the same the next day. If you still would manage on the third morning, you are right there to climb Kili. Remember, you will need to be able to repeat such dosages for like a week when climbing Kilimanjaro. If you have the chance, go on a hike even at night. When summiting, you will need to start very early, practically at night. It’s better to be prepared for the feeling. – Why do people generally fail to summit? Statistics paint a very clear picture: most of the unsuccessful climbers are male in their 20s or 30s. Got it? Exactly that group you would expect to be the most fit to summit. They are strong, fit, do sports 4 times a week, could even run a marathon. In this case, extreme fitness can be a trap. You think you can go fast but nature proves you wrong: acclimatization is the decisive factor. Generally, older and less fit climbers don’t fall into this trap. Simply, they are not so strong that they could attempt to “run up the hill” and eventually lose their strength before the summit. As a consequence, their body can adjust and acclimatize a lot better. Acclimatization is key. Even if you are prepared to walk great distances, you might find yourself dealing with the symptoms of mountain sickness, as a consequence of slow acclimatization. Whether you experience these symptoms is not only about height. It also has to do with how quickly you reached that altitude. – What can I do about mountain sickness? First and foremost, pay attention to your pace. Give your body enough time to adjust to the decreased oxygen level. Walk as slowly as possible. If you cannot slow down, breathe through your nose, only. This will help you decrease the tempo. You don’t stand very high chances that the lack of oxygen will have no effect on you. Many of the symptoms are normal, while some are already severe manifestations of mountain sickness. Either way, you need to take them seriously. – Who is affected by mountain sickness? Like we wrote before, anyone anytime can experience the symptoms. There is no scientific evidence why some people have it more and some have it less, and why on some trips you will feel miserable and on the next you are OK.
Statistically, women and older people are more immune. One potential reason for this is that they tend to ascend slower. Even if you may find the tempo oddly slow and easy on the first days, soon you will change your mind. It’s not a problem if you are behind. Your guides won’t leave anyone and victory is not about being the first (at least not on Kili). Don’t run and respect the mountain. Pole, pole! That’s the most you can do to avoid mountain sickness. – What about hydration? What and how much am I supposed to drink? It is vital that you drink at least 3 liters of water every day. The air is more dry up there and your body needs more water for the ascent. Avoid alcoholic and caffeine drinks as they have the opposite effect. Long and cold days will take away a lot of energy. Don’t forget about nutrition either. Even if you are not hungry, you need to eat. Try to think in advance what you like eating, no matter what. If you do, it would make sense to get a bit more serious about Kilimanjaro. 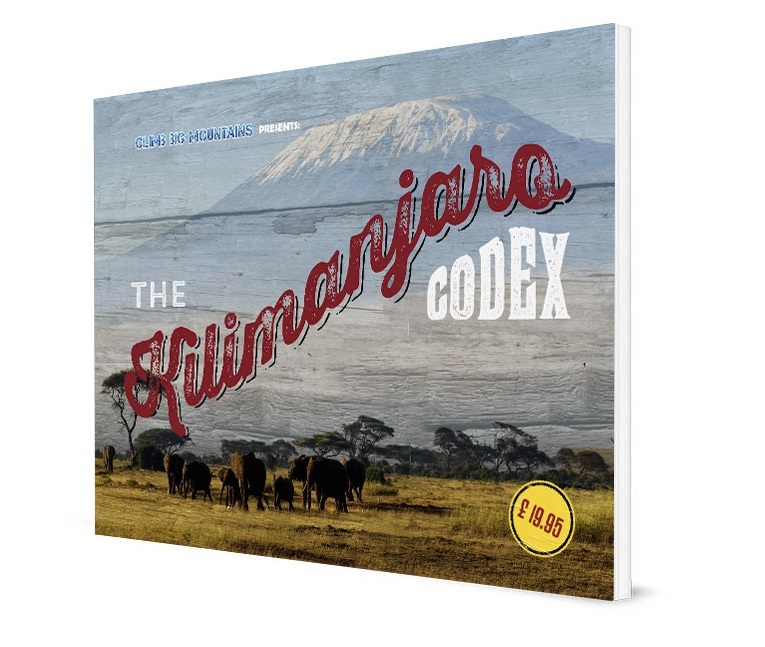 How about an all-inclusive guide to Kilimanjaro, The Kilimanjaro Codex? If you want to get the guide, click on the image below and we’ll send it to you right away. Normally it’s £19.95, but now you can have it for free!